$r = a \tan \theta$. $r = \tan (b \theta)$. 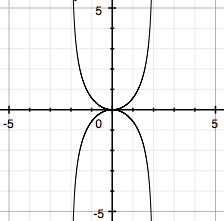 As you can see, as a increases, the width of "branches" on the curve increases similarly to that of a parabola. 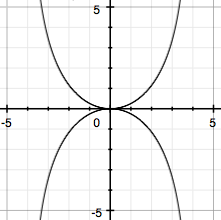 Now let's look at the family of curves with $a < 0$. These curves are completely identical. You can imagine the transformation of $r = b \tan \theta$ to $r = -b\tan \theta$ as a reflection over the $x$-axis or polar-axis, in which case both of these graphs of symmetric amongst the $x$-axis, hence they look the same. 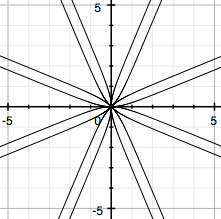 We're now going to look at the family of curves in the form of $r = \tan(b \theta)$ where $b > 0$. Notice that as $b$ increases, the number of "branches" for the polar curves increases. 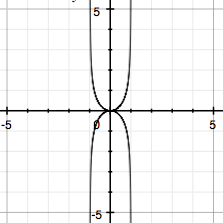 In fact for $b$ being a positive integer, there will always be exactly $2b$ branches for this family of curves. Now let's look at the case where $b < 0$. 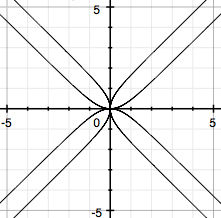 Once again these curves are identical to the ones above with the same property of the number of branches applying for $b$ as an integer and $b \neq 0$. Once again, they're identical as a reflection amongst the $x$-axis results in the same graph.